After 5pm weekdays and weekends by appointment only. Keep our details in your phone. 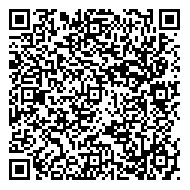 Alternatively, if your phone has a barcode scanner, point it at this image and you can save the contact details to your device with ease.